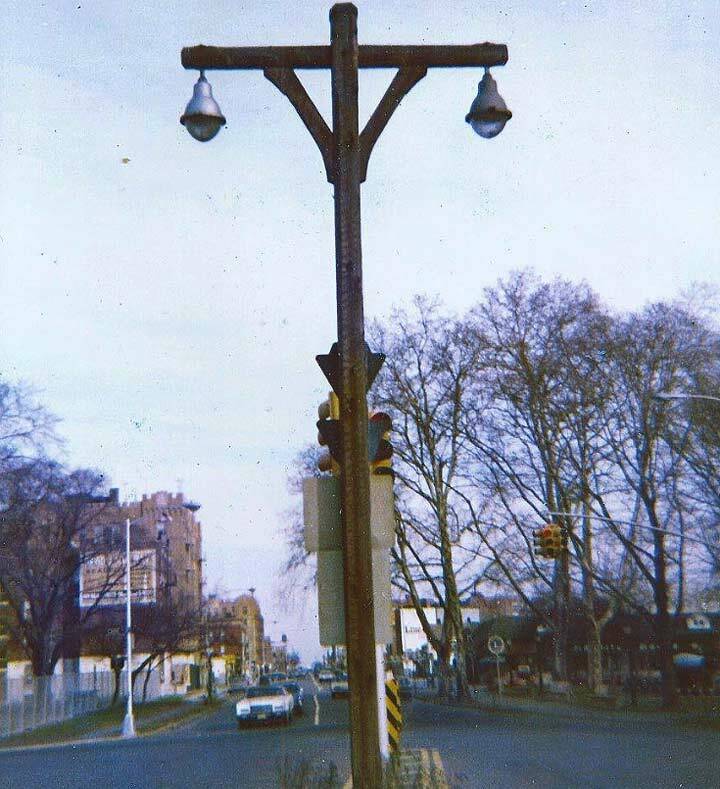 Lampposts nearly completely made of wood in various styles (hence my nickname for them), first appeared in the 1930s in use on the series of parkways spearheaded by Robert Moses in NYC, Long Island and Westchester County, such as the Northern and Southern State, Cross Island, Laurelton, Bronx River Parkway, Grand Central and the parkway closest to my Bay Ridge home, Shore Parkway (originally called the Circumferential Parkway, then officially Shore, but most to most motorists it is known as simply the Belt Parkway, as along with the Cross Island it forms something of a barrier separating NYC from Lower New York Bay and the Nassau County border). By the time I came along lightpost-chronicling in the 1960s, the original “Woodies” were still very much in force along with the Westinghouse cuplights, as well as the bell and gumball-shaped incandescents whose manufacturers I haven’t been able to root out yet. By the 1970s, the Woodies began to be supplanted by modular Donald Deskey posts, and then by the 1990s both Woodies and Deskeys alike had given way to cylindrical, straight masted posts in the center median. There were a number of different styles for these wooden posts in the beginning; some had metal support brackets. 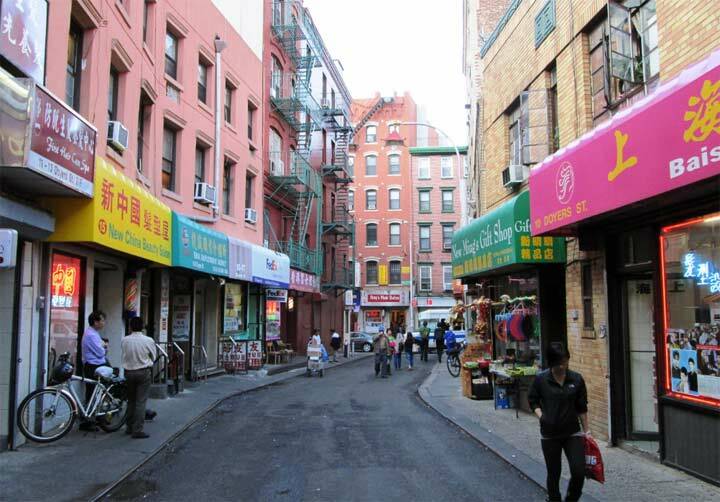 In NYC all these had disappeared by the time I started noticing them. There’s one thing I haven’t emphasized about the Woodies yet, though. The masts came in a number of lengths: very short ones, used on one-lane approach roads; full-length shafts used on the parkways proper; and the intermediate size shown here, in use on the 4th Avenue Belt Parkway entrance/exit ramp at Shore Road and John Paul Jones Park. I remember the Bay Ridge Woody’s hey we’re a beautiful work of art. It’s such a shame to see them all gone or most of them gone. Yes they were a beautiful work of art.